From high-tech aviation centers to exquisite art museums, Seattle has diverse attractions. The city’s lively markets, historic neighborhoods, and beautiful parks are ideal for walking and cycling tours. If you want to travel like a local in the Emerald City, follow this Seattle travel guide. Here are some of Seattle’s top highlights. Pioneer Square, the Central Public Library, and the Seattle Art Museum are clustered around the downtown area. The library is an architectural masterpiece built with thousands of glass panes joined by steel frames. 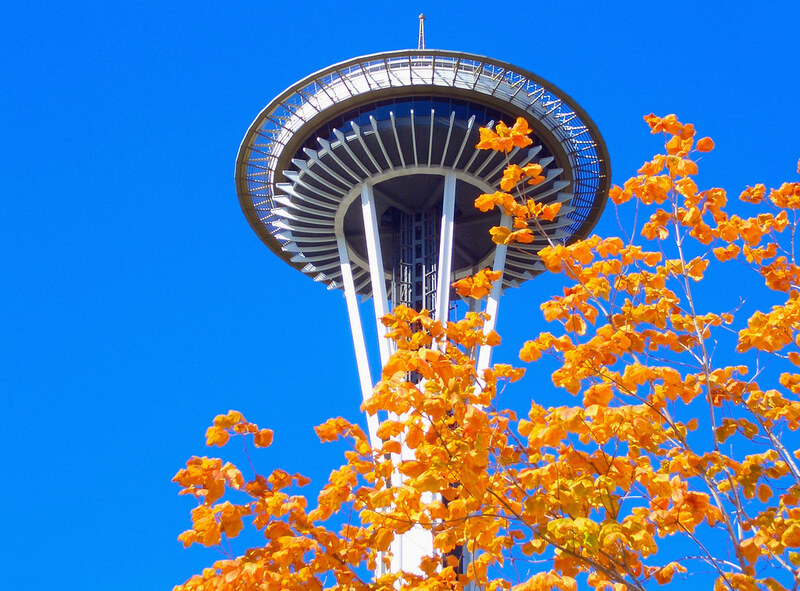 Seattle’s iconic attraction, the Space Needle, is also a short drive from downtown. The historic district of Pioneer Square offers a great environment for travel photography. Lined with shops selling anything from fresh fish and vegetables to clothing and accessories, the lively streets of Pike Place Market and the International District are best explored on foot. Step into one of the many eateries in this area and satisfy your taste buds with Asian or American delicacies. 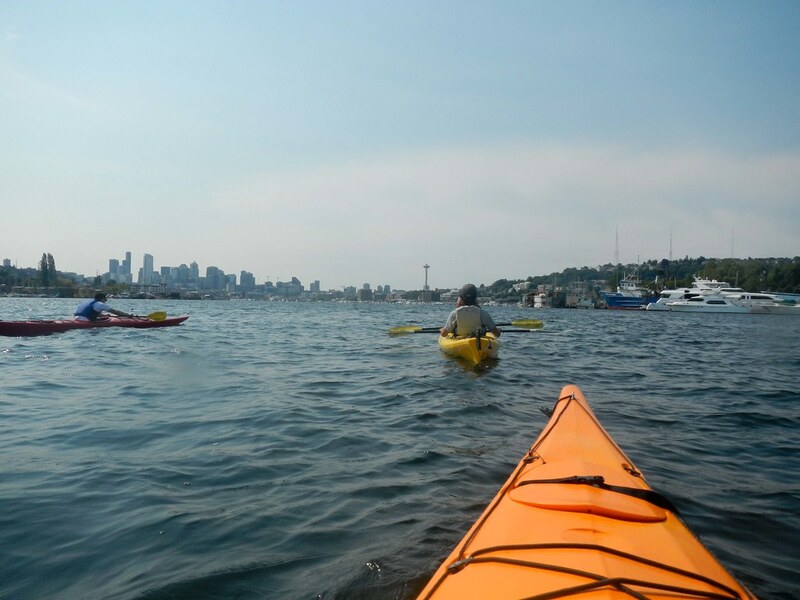 When in Seattle, set aside a day for watersports and adventure at Lake Union. Kayaking or standup paddleboarding at the lake lets you experience the sights and sounds of Seattle from a different viewpoint. In addition, don’t miss the Ride the Ducks of Seattle tours. The “duck” is actually an amphibious craft that floats along the lake and water inlets and wheels around the streets of downtown Seattle. If you’re ready to spend more, seaplanes can fly you over the city and Puget Sound. You’ll enjoy the thrill of flying in a seaplane and the bird’s-eye views of Lake Union, Ballard Locks, downtown Seattle, and the Olympic Mountains. The Seattle waterfront boasts parks, pathways, and boating piers, and the Elliott Bay Seawall connects downtown Seattle with the marina. Home to several souvenir shops and seafood joints, the waterfront is a place to relax and enjoy water excursions along Puget Sound. Located at Pier 59, the Seattle Aquarium is a wonderful world of colorful fish, coral, and a variety of marine animals from the Pacific. 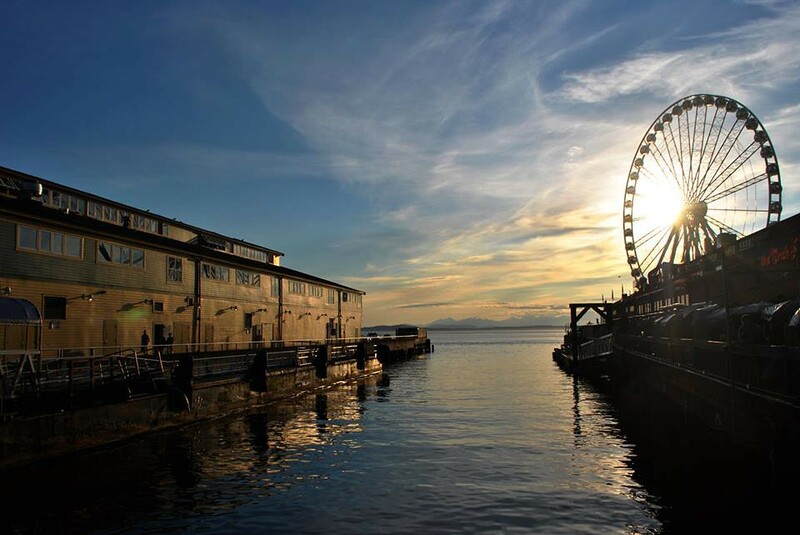 Don’t miss Seattle Great Wheel, a giant Ferris wheel featuring climate-controlled gondolas with glass flooring to ensure exciting rides year-round. 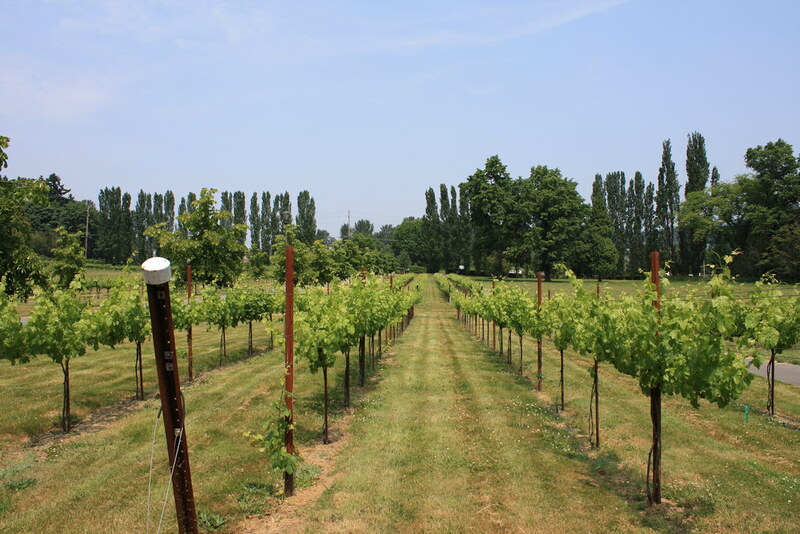 A short drive from downtown Seattle, Woodinville is home to several wineries where visitors can take guided tours and taste local wines. Find yourself immersed in the rustic greenery, soaking in the views of mountains and vineyards, and go biking along the nature trails. Guided wine tasting tours often include award-winning delicacies served with fine wines. You can extend your Woodinville experience by staying overnight, as there are hotel rooms available to fit every budget. The zoo is home to exotic wildlife from Africa, Australasia, and North America, including the Northwest, Canada, and Alaska. It’s the only place in Seattle where you can meet gorillas, watch giraffe families grazing, or spot a snow leopard relaxing with its cubs. 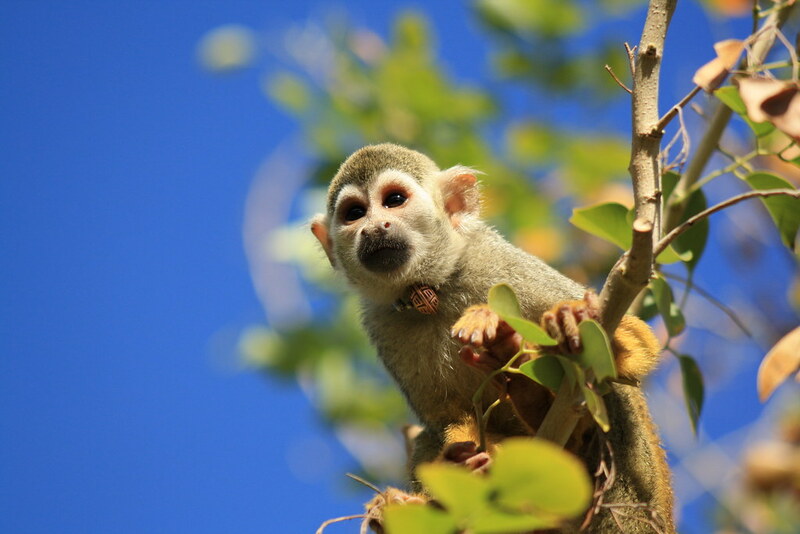 The zoo is divided into different climatic zones ranging from tropical rainforest to coastal desert to create natural habitats for its residents. This is just the tip of the iceberg. From watching ballet performances at the theater to harbor cruising on Elliott Bay, there are many more things you can do in Seattle to make your vacation an unforgettable one. The name “Cambridge” evokes a mixed feeling of curiosity and reverence. As the mecca of knowledge, culture, and education, Cambridge welcomes visitors with a liberal atmosphere, scenic beauty, and an array of museums. If you believe in experiential traveling, explore Cambridge at your own pace. A guided walking tour of the Harvard University campus can give you a detailed picture of this prestigious institution and the lifestyle of its students. Start your tour from the historic Harvard Yard, explore Harvard Square, which is the cultural and commercial heart of Cambridge, and then stop at the Harvard Museum of Natural History. If you want to catch up with the vibe of the city, Harvard Square is the place with bookstores, restaurants, coffee shops, street performances, and live theater. Known as one of the most bicycle-friendly cities in the USA, Cambridge is best explored by bike. Take a leisurely ride along the tree-lined avenues and explore the cultural districts at your own pace. Harvard Square, Central Square, and Kendall Square are some of the most appealing places in the city. Ride along the beautiful cycling pathways by the Charles River and enjoy the views all around. The cycling tours end at the Massachusetts Institute of Technology (MIT). MIT is located on the bank of the Charles River. The landscaped campus is dotted with amazing architecture and sculptures that are worth visiting. You can book a private group tour of the MIT campus. The tours, guided by MIT students and staff, are designed to give visitors deeper insight into the institution and its research and innovation. The Harvard Art Museums comprise three museums — the Fogg Museum, the Busch-Reisinger Museum, and the Arthur M. Sackler Museum — and four research centers. With their extensive collection of modern, classical, and ancient works of art from across the globe, the Harvard Art Museums are well worth your time in Cambridge. The riverfront is landscaped with old trees, gardens, and walking trails. Take a stroll along the riverbank while soaking in the view of Boston skyline on the other side of the river. 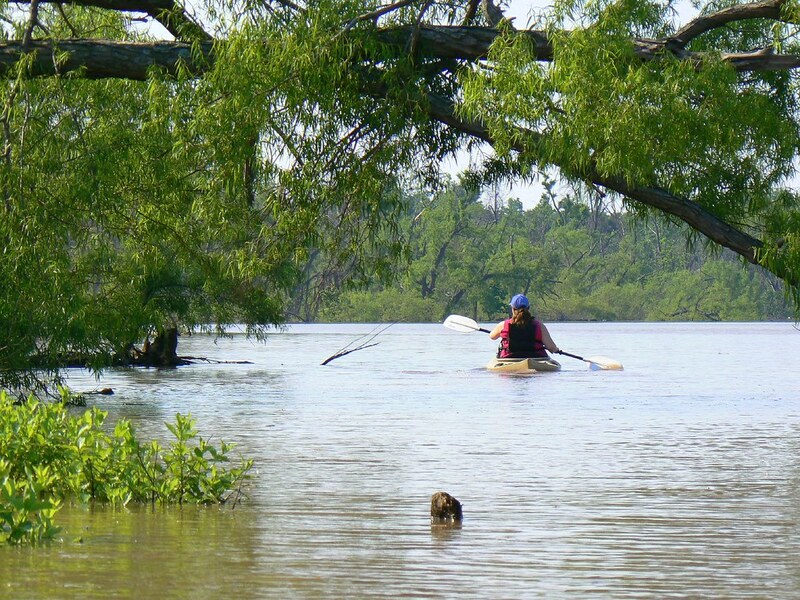 Go for a boat trip or go kayaking to add more fun to your leisure vacation in Cambridge. 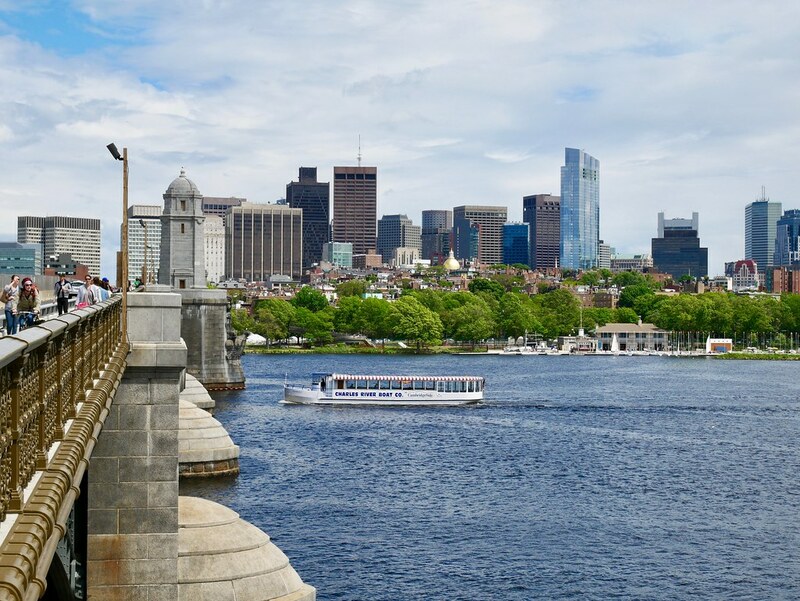 Charles River boat tours cover the city’s historical landmarks. As the boat sails along, enjoy the views of the twin cities, Cambridge and Boston, and watch as the sun sets beyond the urban landscape. Known to be America’s first landscaped cemetery, Mount Auburn Cemetery is also a wildlife sanctuary. With rolling fields dotted with ancient trees, ponds, and shrubs, this peaceful place is a haven for bird watchers. 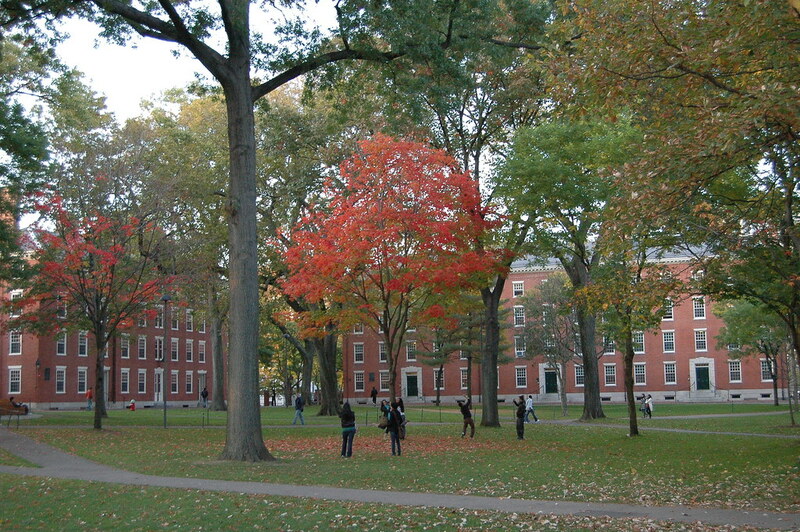 Fall is the best time to visit Cambridge if you want to experience its scenic beauty. 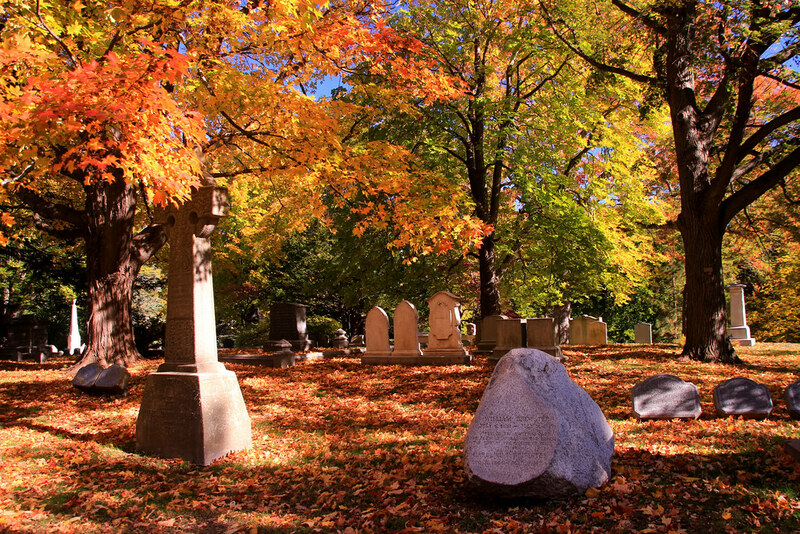 This is also the time when the cemetery looks most appealing with colored foliage and verdant nature. Walking and biking are, perhaps, the best ways to explore this city of squares. Hence, you should choose your hotel carefully. Centrally located hotels near Lesley University are within walking distance of many of the popular attractions. From rooms for $70 a night to luxurious four-star properties, there are accommodations to fit every budget. 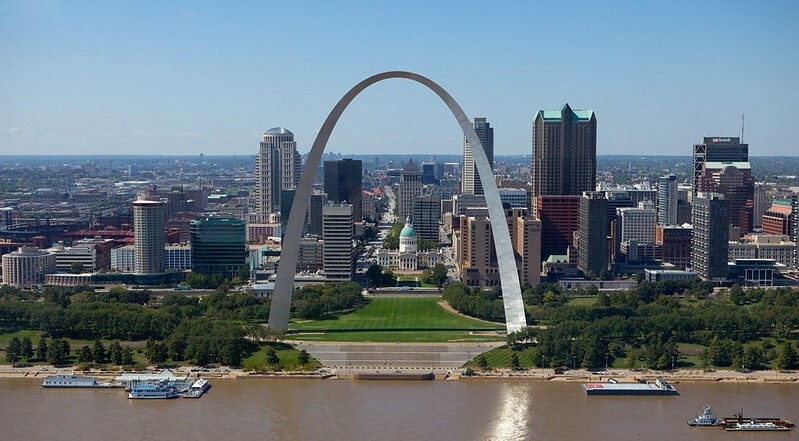 Nestled on the bank of the Mississippi River in Missouri, St. Louis is known as the Gateway to the West. After Washington, D.C., the city ranks second in terms of free tourist attractions. There are a lot of things to see in St. Louis. However, if you are short on time to explore the city, below are your options. The Gateway Arch is one of the most visited tourist attractions in St. Louis. The iconic stainless steel structure symbolizes the progress of St. Louis from an 18th-century European settlement to a modern metropolis. The 630-foot arch is built on the riverfront, dotted with gardens and tree-lined walkways. The area also provides access to a riverboat cruise, a popular mode of sightseeing in St. Louis. Entry is free for children, while adults must pay a small fee. You can also buy a ticket to ride up to the observation area at the top of the arch for a 360-degree view of the city. 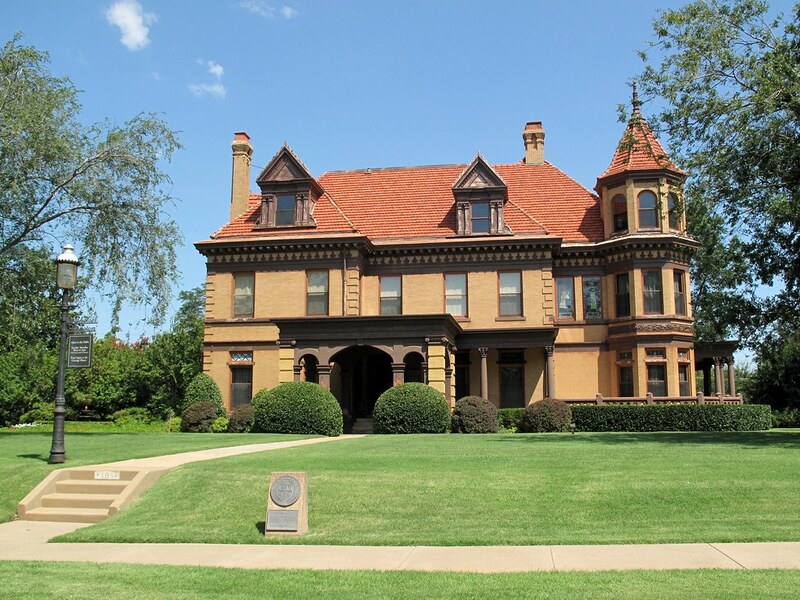 Only two blocks from the Arch, the Museum of Westward Expansion exhibits artifacts depicting the westward expansion of America and the stories of brave pioneers on the American frontier. The Old Courthouse is located opposite the museum. The impressive traditional building was not only a house of justice in old times but also a commercial center in St. Louis. It witnessed many historic trials and verdicts that revolutionized American society. Entry is free for both places. 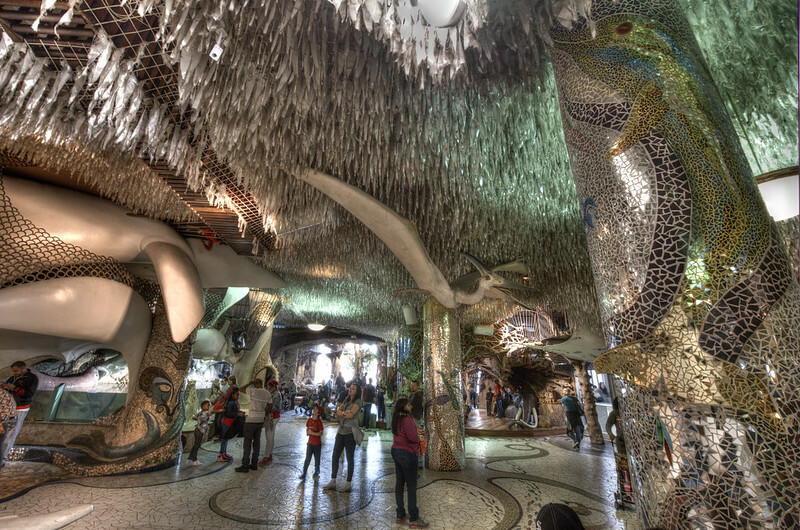 St. Louis City Museum is a must-see, especially if you’re traveling with kids. This museum boasts an interior designed with repurposed architectural elements, making it a unique place. With activities like a walk through the Enchanted Cave, a five-story slide down the Shoe Shaft, or a crawl through a shark tank, City Museum promises to thrill and surprise. 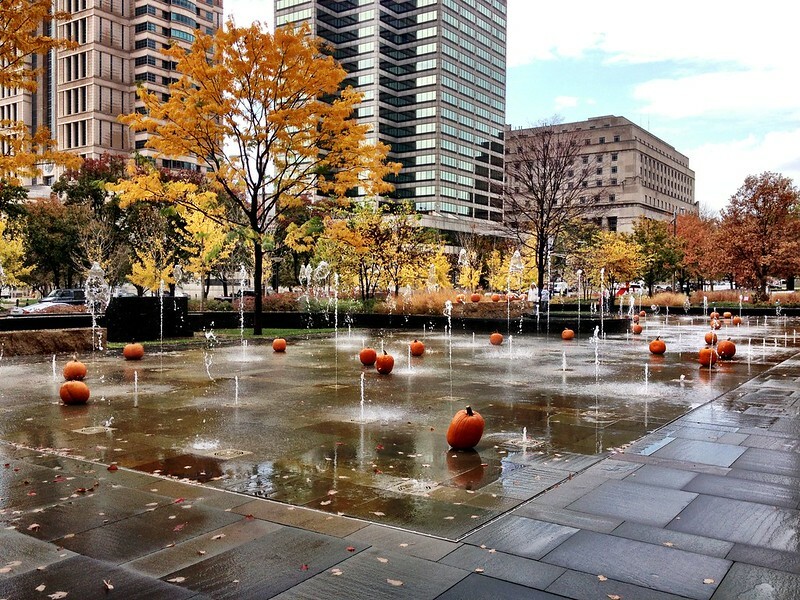 St. Louis City Garden offers a refreshing escape in the heart of the bustling downtown. 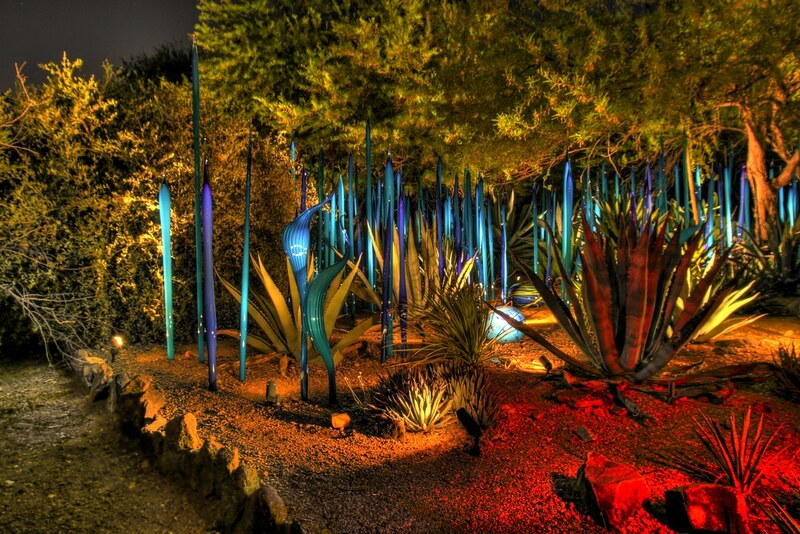 The garden is dotted with fountains and modern sculptures, keeping with the vibe of this progressive city. The Waterfall Fountain has a pool, where you can take a splash in the water, sit on the rocks, or simply stroll around and see the sculptures depicting modern art. 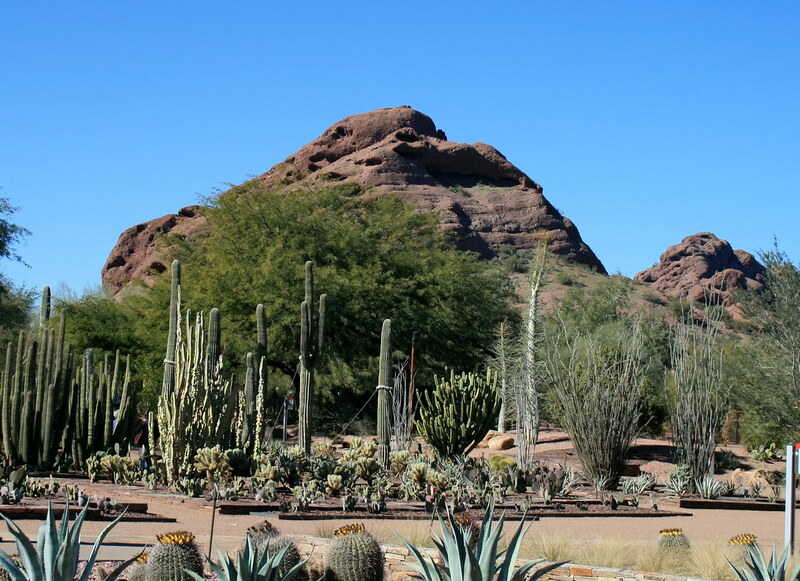 The park is open to visitors throughout the year, and entry is free. 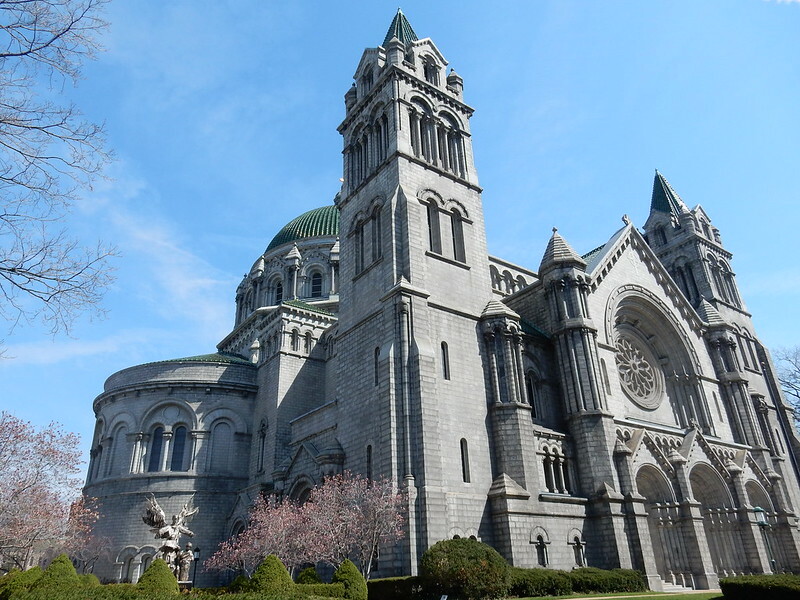 Find a piece of Rome as you step into the premises of Cathedral Basilica of Saint Louis. This Roman Catholic church is located in the Central West End area, a short drive from downtown. Admire the splendor of the Romanesque architecture from the outside and marvel at the beautiful Byzantine and Italian mosaics inside. The church houses a museum in the basement. 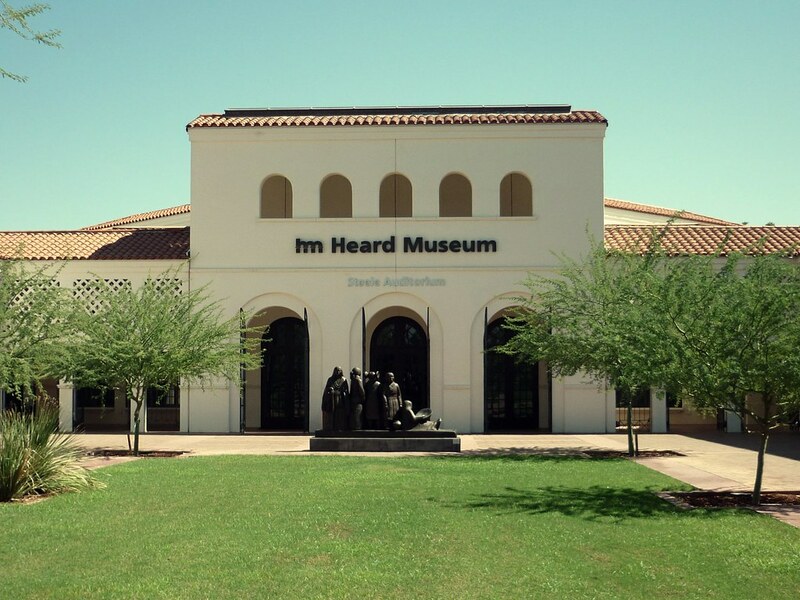 A docent-led tour can give you deeper insight into the history and architecture of the church. 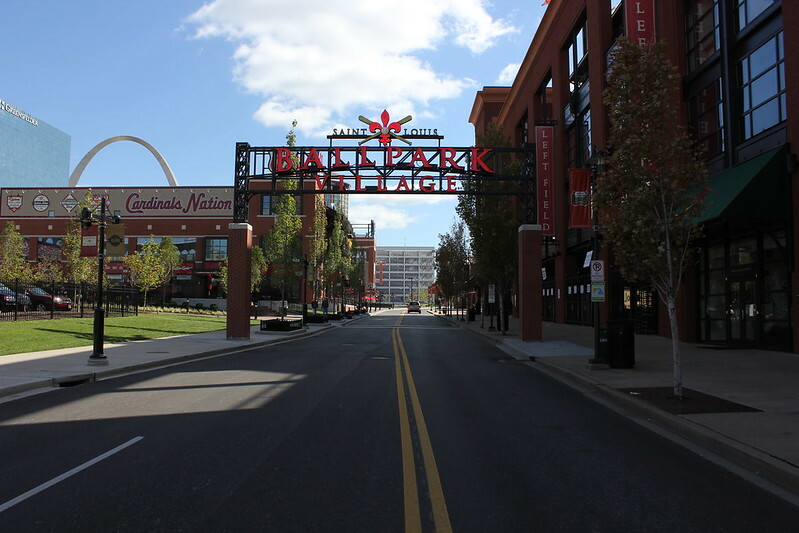 With great dining, shopping, and nightlife options, Ballpark Village is a popular hangout in St. Louis. Adjacent to Busch Stadium on Clark Avenue, this entertainment district is the place to relax and hang around after a day of sightseeing. An array of retail shops, bars, and music venues is enough to keep you engaged throughout the evening. For a short trip, it would be wise to choose from the hotels near downtown St. Louis, as many of the free attractions are within walking distance from the downtown hotels. 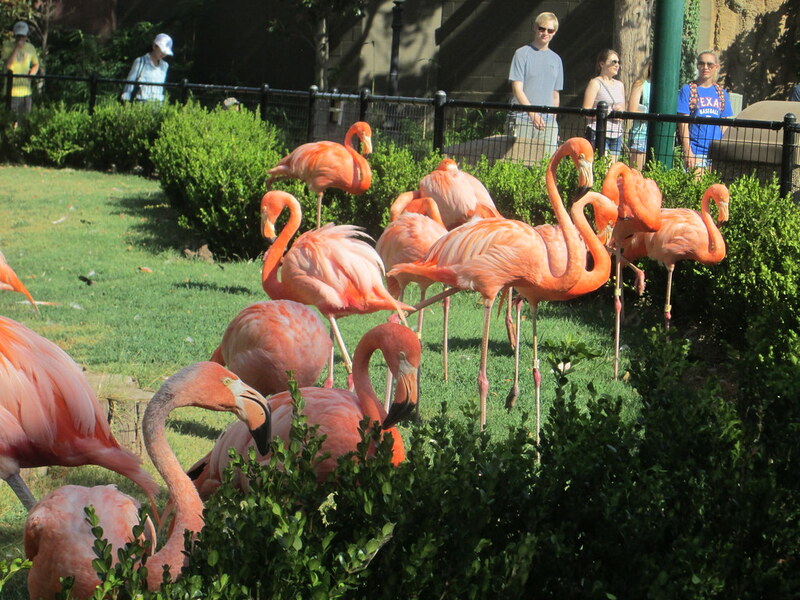 If you have more time to spend in St. Louis, head toward Forest Park, a comprehensive entertainment zone that houses the St. Louis Zoo, Science Center, History Museum — all of which have free admission — and much more. Charlotte, the largest city in North Carolina, is a thriving tourist destination. 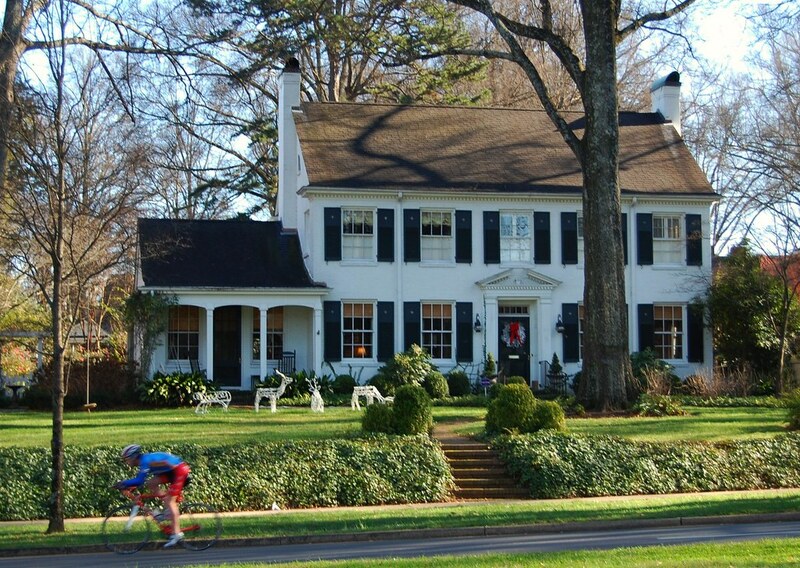 Despite its modern constructions and business centers, Charlotte carefully preserves its green space. The city’s well-maintained network of greenways makes it a haven for bikers and nature lovers. There are many ways one can explore Charlotte, such as biking, hiking, nature walks, and the Charlotte Trolley Trail. 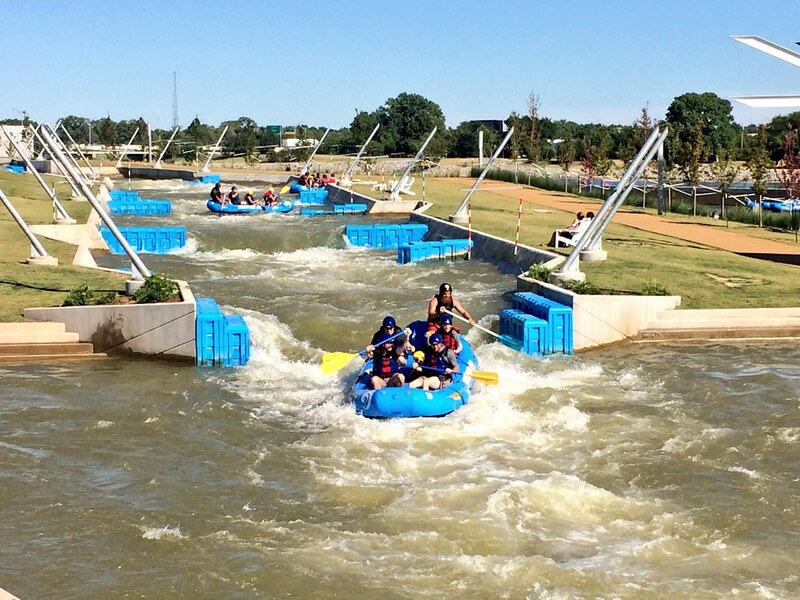 Check out some of the off-the-beaten ways to experience Charlotte’s charm. McDowell Nature Center provides access to the McDowell Nature Preserve, an 1108-acre land area preserving natural communities and indigenous flora and fauna. 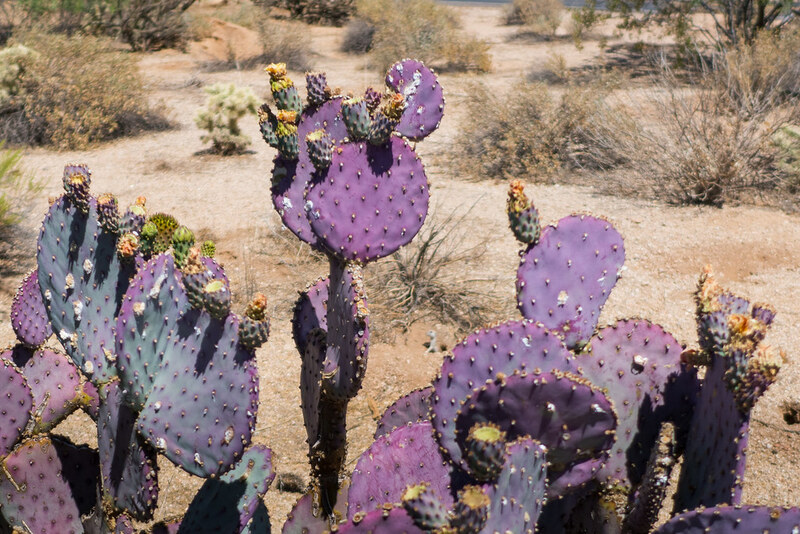 The preserve is home to several camping areas and waterfront picnic areas. 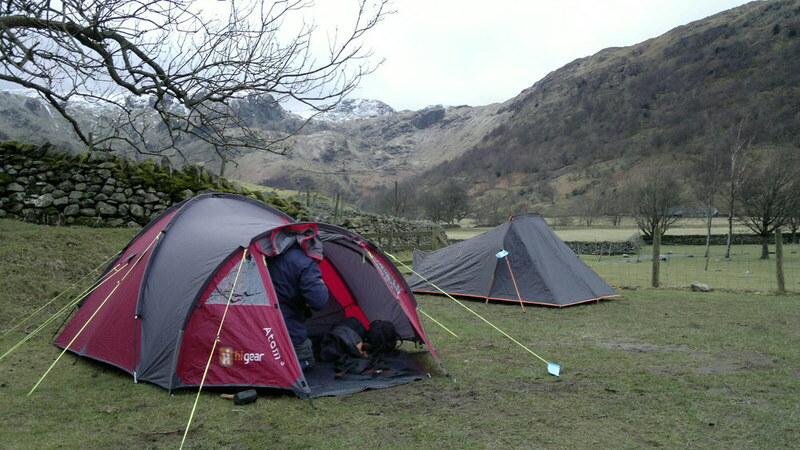 Set up a camp and escape into nature. Go fishing or kayaking at Lake Wylie. The hiking trail through the forest and Piedmont prairie restoration areas offer scenic views as you walk past the gurgling streams, placid lakes and groves of rare plants. 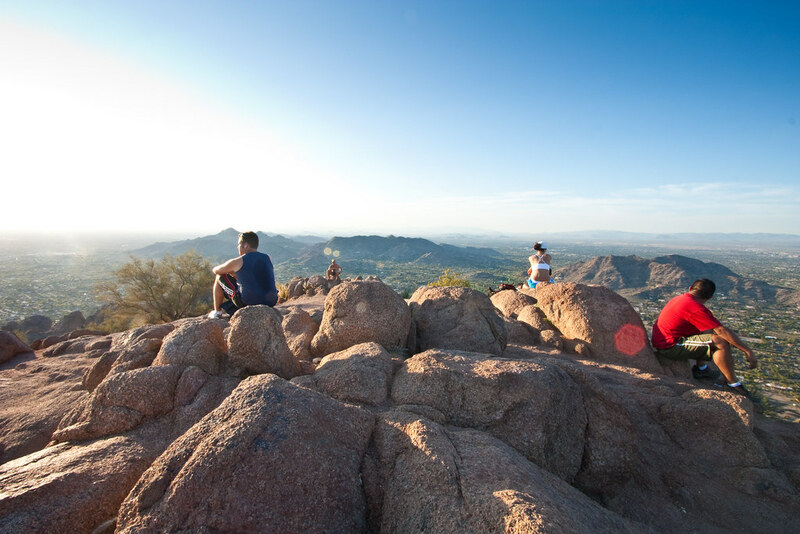 McDowell Nature Preserve offers full-service camping, ranging from motorhomes to tents, that you can book online. Close to Uptown — that’s what Charlotte calls its downtown — Paw Paw Nature Trail is one of the hidden gems of Charlotte where you can enjoy nature in a completely different way. Discovery Place Nature offers a range of nature activities at Paw Paw Nature Trail, as you take a trek through a 100-year-old forest land. 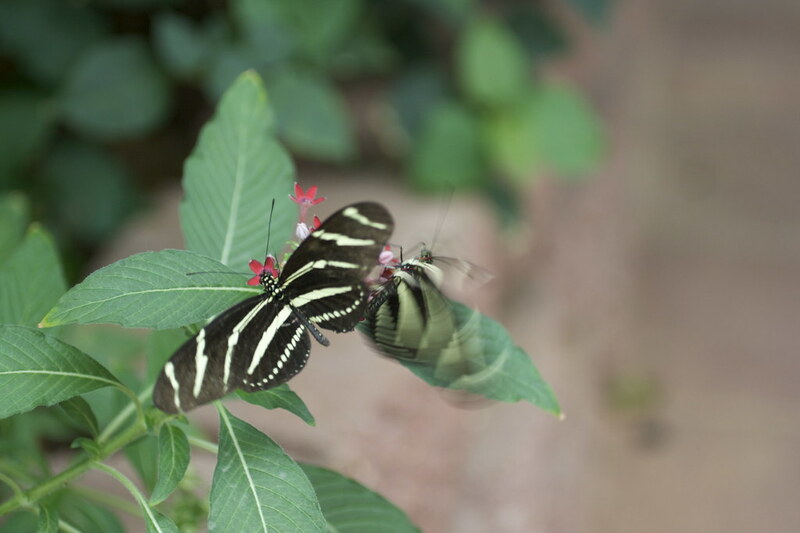 Walk among the butterflies at the Butterfly Pavilion. Catch the whiff of forest air and let loose your imagination in building structures with logs and rocks and other natural objects. As you step into the woods, you might see the barred owls watching over you, perched high on the branches. The woodpeckers’ tapping sound intensifies the quiet of the forest. Marvel at the beauty of seasonal wildflowers covering the forest floor. Look down for box turtles under bushes so that you don’t accidentally step on them. Only 3 miles from Uptown, Freedom Park offers refreshing greenery in the heart of the city. The park’s tree-lined pathways circling a large pond can be best explored on a bicycle, which you can rent anytime from a Charlotte B-Cycle near the park. 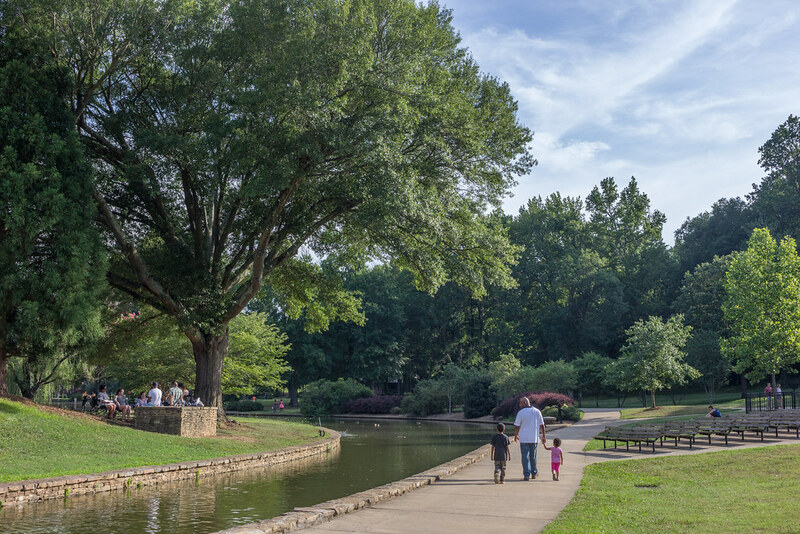 The park comes alive with joggers, dog-walkers, kids, and families in the morning and evening, presenting the perfect picture of Charlotte’s love for outdoor recreation and fitness. McAlpine Creek Park, the oldest greenway in Piedmont, is a bird watchers’ delight. It is connected to Campbell Creek Greenway at Margaret Wallace Road at the northern end. 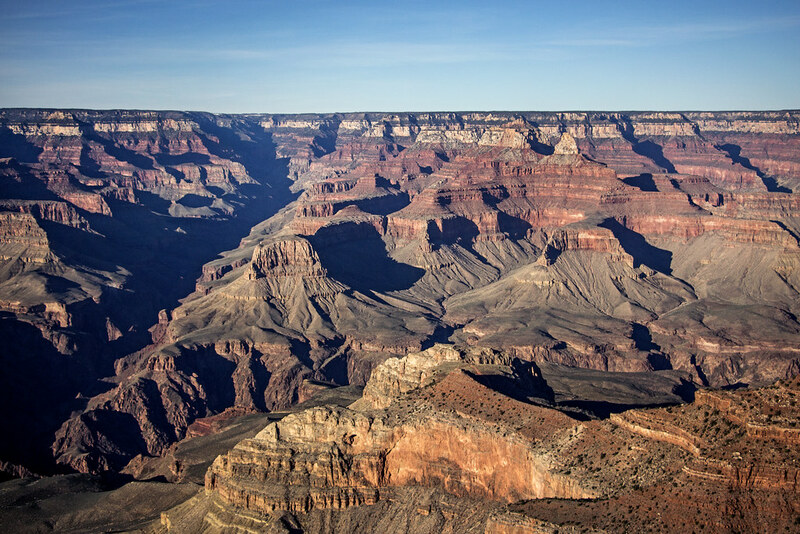 Apart from a range of outdoor recreational amenities, here you may also get to see a variety of wild animals, including otters, beavers, minks, and about 188 species of birds. 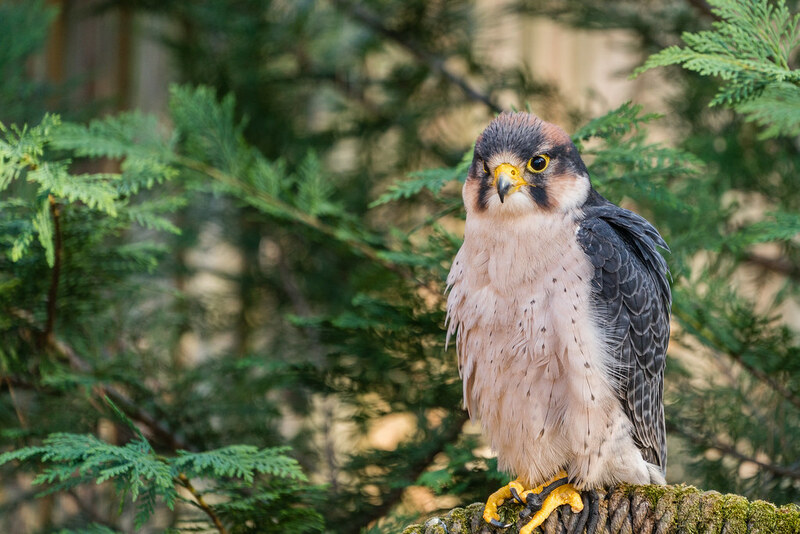 About a half-hour drive from Uptown Charlotte, the Carolina Raptor Center lets you meet, learn about and get close to a variety of raptors as you walk down the outdoor trail within the conservation area. The nature preserve is actually a shelter for sick, wounded, and orphaned raptors. The center hosts a variety of educational activity programs to increase awareness among students. A guided tour of the raptor rehab can help you become a more responsible and active supporter of nature and wildlife conservation. As a major financial hub in North Carolina, Charlotte has transformed with time. Yet there remain bits of its glorious past in the forms of trolleys (formerly streetcars), Queen Anne style homes, and Colonial Revival architecture in the neighborhoods of Dilworth and Myers Park. Charlotte runs various urban agricultural projects to improve the city’s landscape and develop local food system. Nonprofit organizations are working to convert empty plots into community gardens or productive urban area. The goal is to spread environmental awareness and increase sustainable food production. If you want to try Charlotte’s home-grown food and wine, catch the train (Lynx Light Rail) from Uptown to 7th Street Station for the 7th Street Public Market. It’s a bustling place with local farmers, vendors, vegetable and flower shops, bars, and eateries. This post is originally posted by Lori on April 1, 2017 on Travel Moments In Time.